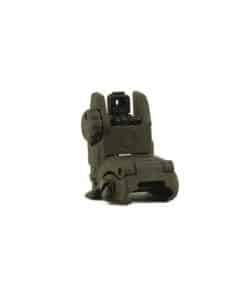 Red dot optic is known to be one of the standards for M4 variant rifles and AR-15. It would be very right to say that Sig Sauer Romeo 5 is among the new optic. It is a perfect choice for all related to its features, performance and last but not the least; its value. Sig Sauer Romeo 5 is pretty much similar to Aim point Micro in size as well as its features however it is offered in half of the price. In this piece of writing, I’m sharing Sig Romeo 5 Review, I recently bought it following is what I have to share with you. To begin with, I would like to mention that Sig Sauer Romeo 5 is capable of providing a perfect aiming solution for any situation. It can equally be used by armed forces and civilians. Read Sig Sauer Romeo 5 Review to know more about Sig Romeo 5. The sight is parallax free so the point of impact, as well as point of aim, remains the same. 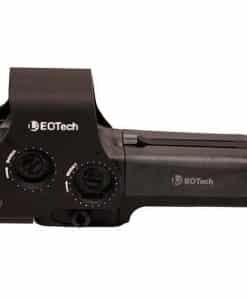 With unlimited eye relief, the users acquire the target and the aiming point regardless of the eye position behind the sight. Sig Sauer Romeo 5 has been equipped with side loading battery. It enables the battery replacement in a speedy manner. It offers the battery life of 5,000 hours or more. This is because the system is shut down when it is not in use. As soon as it senses the movement or vibration, the system is activated. Sig Sauer Romeo 5 is mounted on all kinds of platforms. 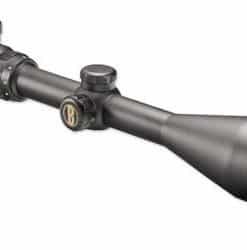 With its solid aluminium designs, the sight will offer peak performance and years of services. Sig Sauer Romeo 5 is capable of working underwater as well. In technical words, it is IPX-7 rated for complete immersion into the water. Also, it is fog proof. Therefore, either you are in the water or need to work with it during foggy weather; its performance will not be affected at all. You can buy it at an economical price of $169.96 from Amazon. 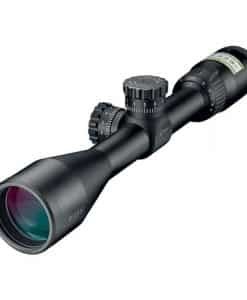 It combines the leading edge optical design with lightweight aluminum housing to work for years and years at a reasonable price range. The Sig Sauer Romeo 5 amuses the users with 10 illumination settings. 8 of these are day light plus while a couple of it NV for perfect visibility in all kinds of conditions. Sig’s MOTAC feature of the battery enables it to power up as soon as it senses vibration or any kind of movement. In the very same manner; when the system is not in use it shuts off automatically. It is this feature of the battery that allows it to work with appropriate operational safety along with enhanced battery life of hours. The battery life offered by Sig Sauer Romeo 5 is usually 40,000 plus hours. It I cr2032 battery with side loading enabling the quick battery replacement. With side loading, you will not have to remove the sight from the firearm and can replace the battery in a quick and speedy manner. With an integrated M1913 interface, the Sig Sauer Romeo 5 as the option industry standards mounting options for a range of applications. It offers waterproof and for proof performance in a perfect manner. It is known to be IPX-7 rated for a complete water immersion experience up to almost 1 meter. Also, Sig Sauer Romeo 5 has M1913 Picatinny low mount along with a co-witness of 1.41 inches riser mount. It is one of the preferred sizes of the red dots. It is perfect for the precise work as it is said that aim small and you will miss small. However, it is not small enough to lose target acquisition. Do not fall prey for the trick that 1 MOA dot is the better option. This is not true at all. This particular redo dot is the one that acts perfectly no matter what your eye conditions are. The Sig Romeo 5 will not disappoint you at all. The 10 brightness settings provide you with enough time to tune in that is required. In case you reside in an area that has lots of daylight and you come across problems in seeing the dot, then 6 – 7 brightness level is enough. However, if there is snow at the background then you may go for 8 to 10 brightness level. Night vision works well for the user as well. If you set the brightness to 1 or 2 then the dot will not be visible. Therefore, you need to set things according to your circumstances and environment. If you are a kind of person that is not used to of turning off the smartphone, TV or PC? If your answer is “yes”; then you will appreciate this feature like anything. 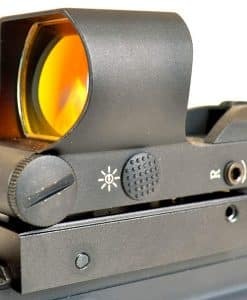 When you will set your sight at standby mode, the Sig Romeo makes use of the motion sensors to be turned off automatically and then turn off the red dot as well. There will not be any need for the fast movement or shaking. In case, you will keep it still for 2 minutes, even then you will find it turned off itself. So if there is a scenario of home defense then most of the times we get panicked and this would be the last thing to worry about. All you will have to do will be to pick up the firearm and run to ensure the protection of your family. Moreover, you do not need to worry about keeping it in your car. Rocking motion will not turn this device off. However, if you are traveling on a bumpy road then it is better to switch off the Sig Romeo 5 off. The mounting process for Sig Romeo 5 is as simple as the breeze blowing as it is offered with the amount. All you would do is to buy it, put it on and just use it. The height is perfect for M1913 Picatinny platform. This means easy co-witness with AR-15. It does not mean that you cannot make use of your own high-quality mount, it can be done too. Another attractive thing that has been well taken care of by the designers is that you may use turret caps to adjust your own turrets. There is no need for the screwdriver and flatheads anymore. Unfortunately, the sight does not have super attractive tactical looks as compared to other red dot sights like Aimpoint and Trijicon. Apparently, they are seen to be using the same casings. Another attractive thing to be noticed is that it is really light in weight and small in size. 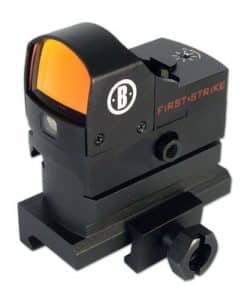 You may shoot at odd angles and you will see that the red dot will not throw away your rifle off the balance in any manner. The site has been gone through the shotgun test, drop test, submersion test and last but not the least the freezer test. The Sig Romeo 5 didn’t pass the bomb test just Aimpoint did. But it does not raise any question on its sturdiness. This red dot can be put on any firearms; it does not matter if it is shotguns or high powered rifles. It will hold zero successfully. However, this is not at all suggested for the springer airguns which are known as an optic killer for a couple of directional recoil and unique vibrations. Hence to stay safe, you need not to use it with airguns. The Sig Romer 5 amuses the users with amazingly attractive value. 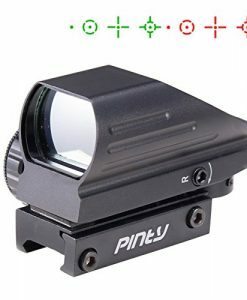 It is not the cheapest, of course, however, no other red dot is accessible at the same price, and can match it in terms of quality and durability. 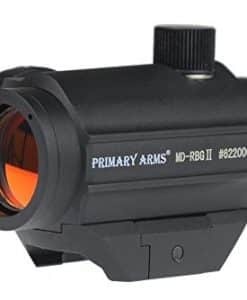 Though the optic does not offer any fancy reticles or digital interface the users always know that they have an acceptably perfect piece of the red dot. To summarize the features of the Sig Sauer Romeo 5, it would be right to say that it is a great choice for you in every manner. 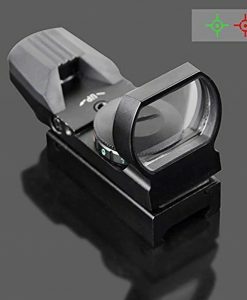 It has been seen that many people crazy for Aimpoint have switched to Sig Romeo 5 because of exceptionally reasonable price. 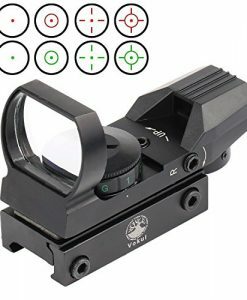 Simple guide to buying a reflex sight includes looking at the size of the sight, which reticle to be bought, its durability, price range that you can afford to buy, firearm with which you are looking forward to using the sight, mounting room and the battery life of the sight. Keep in view all these features. Make sure they comply with your needs and requirements. In short, I liked it. 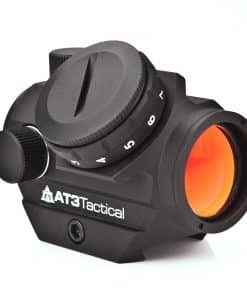 As far as in my opinion it is good equipment with excellent value features that an optic can have right out of the box. The attractive thing for me was that it is offered with a 1.4-inch riser that can also be used on the top of AR rifle. The Sig Romeo 5 battery life timing is 40,000 plus hours that actually made merely on it for a longer number of hours without any worries. 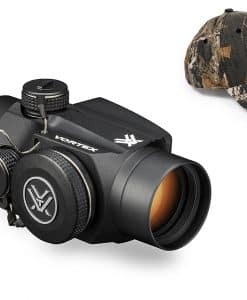 The MOTAC motion sensor technology of the sight is really sensitive and works very well in every manner. However, I would like to mention it here that the red dot itself is enough bright even when there is bright sunlight. It is easy to be shot back at a distance of 100 plus yards with the Sig Sauer Romeo 5. The only thing that I wanted to test but I could not is how it performs at zero. I happened to use it once when the wind picked up to 30 miles per hour and I failed to confirm zero with certainty. Though it did fine still I want to know about the zero. 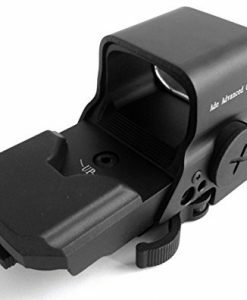 To get hold of the reflex sights is one of the crucial things for better accuracy while shooting. It is because you just cannot have any second option to aim when you know that the lives of innocent people are at stake. Take your time and then decide which sight to be bought. Hope you like our Sig Romeo 5 Review. If you like our Sig Sauer Romeo 5 Review share it with your friends and family. Let us know what you think about Sig Romeo 5 in the comment section below.